Quite a number of parents simply want to be liked by their children. They think that because their children can have whatever they want, then why shouldn’t they? The parents prefer not to be at odds with the children and so they give in to them straight away, because they think that, by doing so, they’ll gain more ‘points’ in the child’s affections. If you choose to set boundaries for them, you’re running the risk of not always being popular, not always being liked by your children. However, being popular with your children, being liked by them, is not a good yardstick. Strange as it may sound, there are other parents who can’t even be bothered to set any boundaries at all, let alone keep to them. They don’t want the responsibility, even if it’s for the good of the family as a whole. One mother told me: ‘I’ve got more than enough to do already and I can’t take any more regimentation. What’ll happen to them, anyway? They’re growing up being loved’. Agreed, but then those children became uncontrollable and demanding and that same mother ended up paying double for avoiding her responsibilities in the first place. And , of course, it was to the detriment of the children. Parents who set boundaries for their children have to be the first to observe and respect the rules. A very simple example: parents tell their child that it has to go to bed at 8:30 in the evening. This ties the mother and father, as well. That time has to be completely devoted to the child, whatever else is going on at home, even a gathering of friends or family. Someone has to take the child by the hand to its bedroom, to overcome any complaints it may have, get it ready for bed, change it, wash it and calm it down to go to sleep. If parents aren’t strict as regards the time and if they don’t keep to the rules they themselves have set- for the good of the children- why should the latter observe them? We can see that adopting boundaries can be onerous and tiring, that it requires strength and self-control, as well as risking being at odds with the children. But this confrontation can also mean disengagement and freedom. On the other hand, protective love for children, without terms, conditions and boundaries, can create offspring who are dependent and under stress. Being consistent in the application of the rules means that we’re giving the children the attention they deserve, that we recognize them as people, like ourselves. 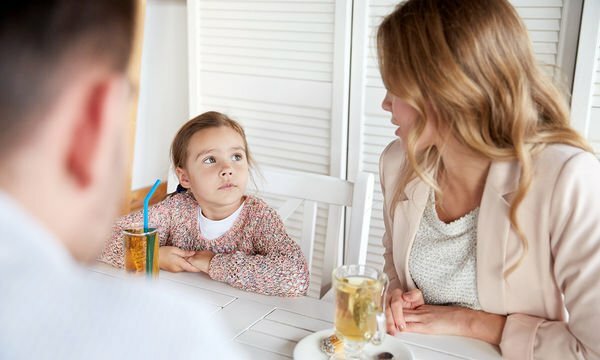 The child psychologist, Rudolf Dreikurs, said that the adoption of boundaries and the consistent observance of them is the foundation of mutual respect and dignity.